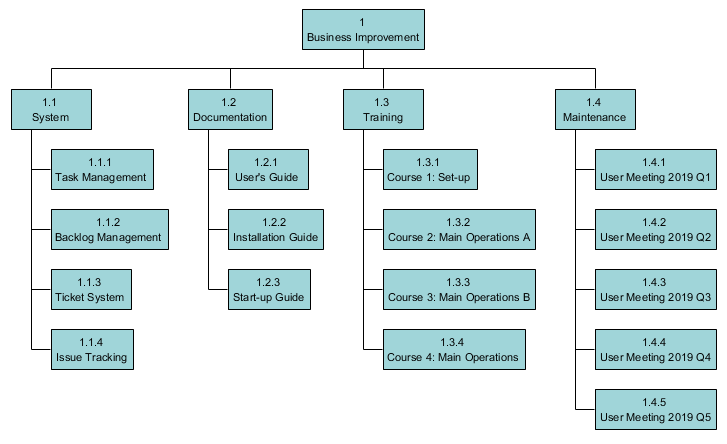 How to Use Product Breakdown Structure (PBS)? Current: How to Use Product Breakdown Structure (PBS)? The Product Breakdown Structure (PBS) is the hierarchical breakdown of the products such as hardware items, software items, and information items (NASA, 2007). The purpose of the PBS is to dissect a complex project into smaller, manageable parts. This is different from the Work Breakdown Structure (WBS) in that it outlines products to be built or bought instead of work to be done. The PBS should give project teams a clear understanding of each product, its components, and requirements of those components (Product Breakdown Structure, n.d.). The lowest level of the PBS should contain products for which a specific engineer is responsible. How to create PBS in a team? In all but the simplest of projects, no one person will be able to identify all of the products. The best way to identify the products is to hold a meeting (or kind of workshop) with relevant stakeholders from across the project – not only will this help tease out the products, but it will help build a common understanding of what the project is to deliver, and joint ownership of that. It’s best to try and identify some of the main top level product groups before the workshop, but not essential. Repeat the steps as necessary until everyone feels that all the products have been identified. 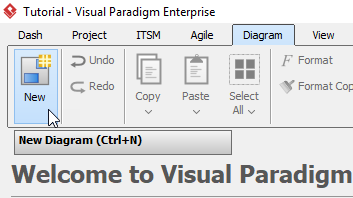 Click Diagram > New form the toolbar. In the New Diagram window, select Breakdown Structure Diagram, then click Next. 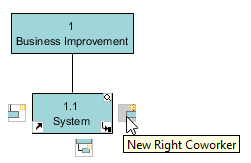 Name the diagram then press OK. We will name the diagram Business Improvement in this tutorial. Move the cursor to the element Business Improvement, then click the resource icon New Subordinate. Moving the cursor to the element System, then click the resource icon New Left Coworker or New Right Coworker. Repeat step 6 for more coworkers of element System. To create a subordinate of element System, move the cursor to element System, then click the resource icon New Subordinate. Rename the new subordinate to Task Management. Move the cursor to element Task Management, then click the resource icon Create Above Coworker or Create Below Coworker. Repeat step 8 and 9 for other elements and their subordinates.